Spatial statistics have broadly been applied, developed and demanded from the field of epidemiology. 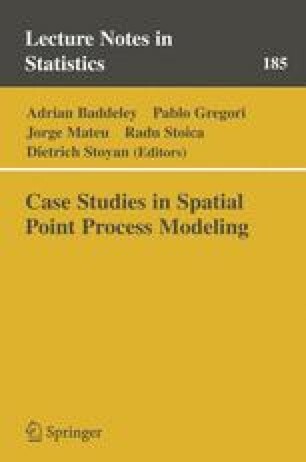 The point process theory is an appropriate framework to analyse the spatial variation of risk of disease from information at individual level. We illustrate an application of point pattern tools to study a few legionnaire’s disease outbreaks. Specifically, these techniques are applied to explore the geographical distribution of cases resulting from three legionnaire’s disease outbreaks that occurred successively in Alcoi, a city placed in the East of Spain.